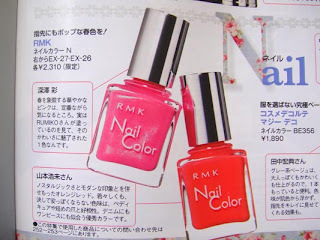 I’m a little late as in posting the March magazines. They have been out for quite a while. Since everyone has probably already read them, I’ll just keep it short. 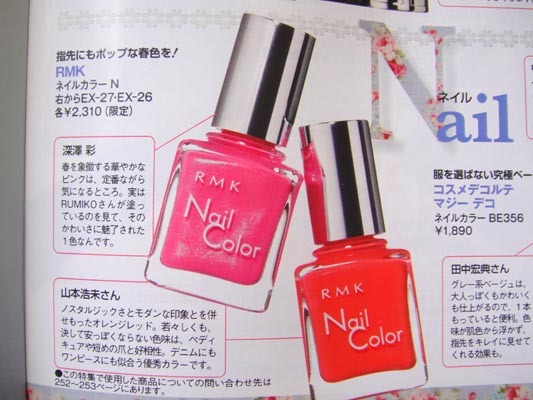 Oh yay the RMK nail polish was featured in Biteki as well along with the red shade. I think I got lucky because personally I still prefer pink over red. Kou Shibasaki looks innocently cute on Maquia cover. 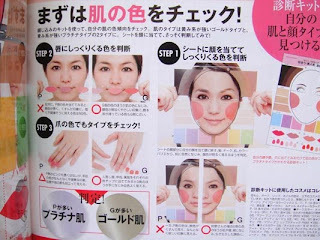 Her makeup makes her look younger than the Coffret D’or ad campaign. Other than that, there’s a colored face chart included with the magazine. It’s not the first time I’m seeing this, but again I just don’t know how to use it? Anyone knows? Iconiq is all over the place on March magazines covers including Voce. Her album got released in March too. I haven’t seen it in Kinokunia bookstore yet. Hopefully they’ll get it in next time I visit. This year has really been good to Iconiq, not only Shiseido made her the face for MAQUillAGE, other companies like ANA, Starbucks, Kitson, Maserati and Mu-mo also signed contract with her.